You know those recipes you have tucked in your memory that is on your forever-long baking list? Yes, those recipes you want to make, but never got around to. I know I`m not the only with these to-bake lists! 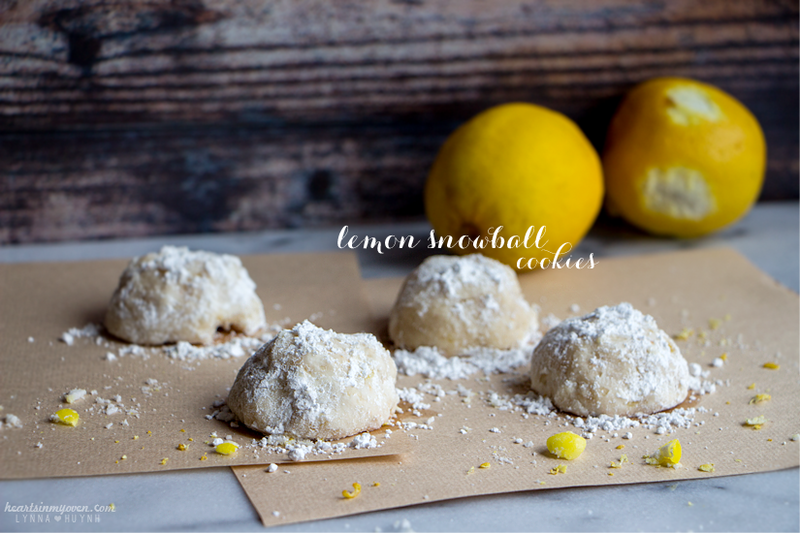 These lemon snowball cookies/Russian Tea Cakes/wedding cookies/butterballs have been on my list for awhile. Gosh, with all those alternative names, you know it has to be popular! Despite my undeniable love for peanuts, cashews, pistachios, and all sorts of nut butters, I prefer them to not be in my cookies or brownies. 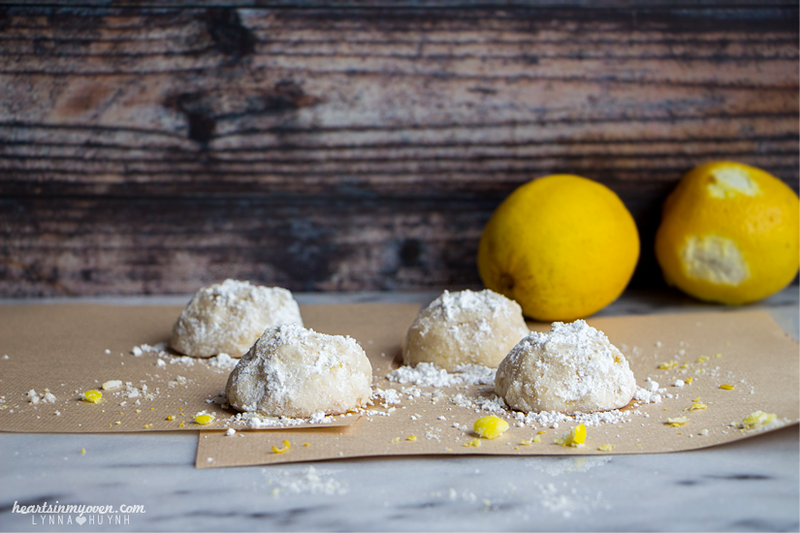 As a lover of lemon flavored desserts, I knew it was meant to be when I discovered lemon snowball cookie recipes. In hipster slang, I was like, YASSS, because "yasss" was even a thing. Aching to bake, but not wanting a time consuming recipe, I decided it was time to make these shortbread cookies. They`re filled with lemon drop candies, which I completely adore biting into. They`re not going to crunchy in the cookies, like they are as candies, but it gives you something nice to bite on. 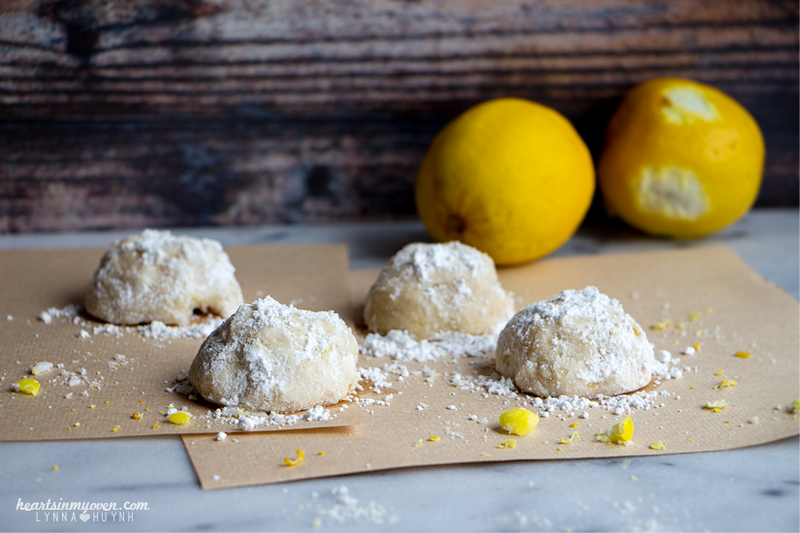 Truthfully, the main reason I never got around to baking these cookies was because I never had lemon drop candy around. I have a major sweet-tooth when it comes to candy, so I can eat a ton. In order to not have a thousand more cavity fillings, I resist buying candies so I don`t get tempted to munch on them mindlessly (I already eat enough baked goodies!). I was at the Dollar Tree store buying birthday balloons and came upon a box of lemonades and instantly bought it for this occasion. And I`m incredibly glad, because these cookies are awesome. That sour, lemon tang you get is always something I love for in lemon desserts! They`re pretty to look at and perfect for Spring and Summer. 2. In a large bowl with electric mixer, beat together butter, sugar, lemon zest, lemon juice until light and fluffy. 3. Add in the flour and salt, mix to combine well. 4. Using a rubber spatula, fold in crushed candy. 5. Roll dough into 1 inch balls. Roll into powdered sugar. 6. Place on prepared baking sheet, about 2 inches apart. 7. Bake for about 7-8 minutes, or until cookies are set. 8. Allow cookies to cool on baking sheet for about 5 minutes before transferring to cooling rack to cool completely. - Line a shallow plate with powder sugar to roll dough in.